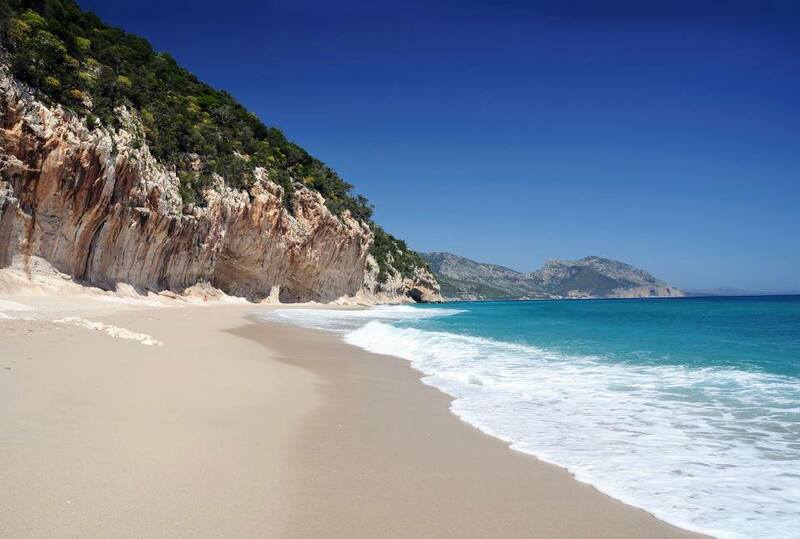 The Gulf of Orosei offers some of the most beautiful and unspoiled corners of Sardinia. Some of these destinations may be difficult to reach because they are tucked away under the mountain cliffs of the Supramonte. A dinghy boat tour is the ideal way to reach the secluded bays and coastal caves. The crystal-clear emerald waters of the gulf take on a different shade as you move from place to place. Boat trips with departures from the small port of Cala Gonone allow you to reach the staggeringly wonderful bays and secluded beaches. Some of the most beautiful beaches in Sardinia are Cala Luna with its impressive seaside caves , Cala Sisine, as well as the beautiful Cala Biriola with its emerald green colored sea. Further ahead you will arrive at the beaches of Cala Mariolu and Cala Gabbiani with their calcareous sand and small round pebbles. Here, the sea offers the most beautiful transparencies of the entire Gulf. Afterwards, you will head to the beautiful beach of Cala Goloritzè, with its rocky arch on the sea and the majestic Punta Caroddi, the most scenic destination for free climbers. The daily excursion includes a stop on at least 3 beaches, the entrance by boat in some coastal caves and a guided tour of the Caves of Bue Marino (upon request). The tour takes place on a 7- meter dinghy boat equipped with a 200 horsepower engine. The tour group does not exceed 12 people. 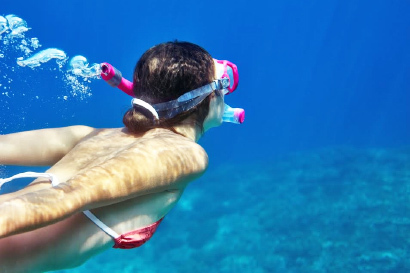 Prima Sardegna in collaboration with Bluforia Advanced Scuba Training organizes mini-cruises with snorkeling routes along the beautiful water of the fjords in the Gulf of Orosei . Visit with us the wonderful Gulf of Orosei with its splendid beaches, dive into the crystalline waters of our coast and discover, accompanied by our certified divers, the amazing sea bed of our Fjords. Notes: The boat can accommodate up to 20 people: 15 places for clients + staff. This is a 7,80 metre long dinghy boat equippped with a 250 hp motor. The excursion starts with a minimum of 8 participants. Prima Sardegna provides parasols upon request.